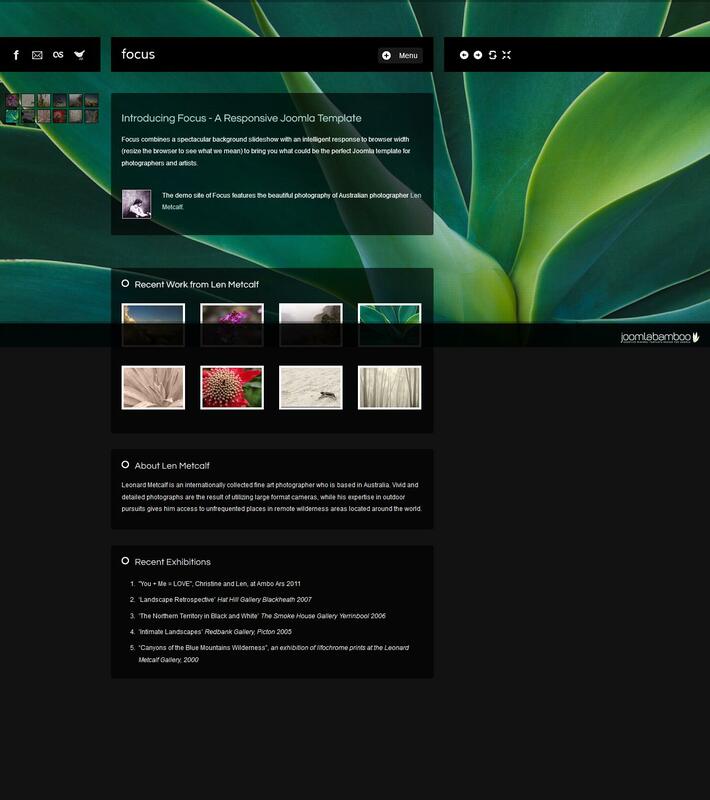 Template JB Focus known developer JoomlaBamboo, combines spectacular and very beautiful background with slideshow effects and intellectual pattern width adjustment, based on the settings of your Internet browser. This layout template is perfect for artists and photographers who want to show off their creations as possible users of the site. Built-in script slideshow template settings, gives you complete control over the sketches and full control over the parameters of the imaging template. Besides template Joomla - JB Focus automatically responds to the width of the browser based on its settings. This feature is very useful when using mobile devices, as in other matters, and was intended by the developer. Template has full support iPhone, IPad and Android for optimal mobile web surfing.